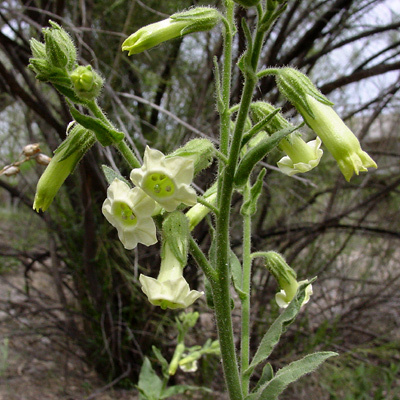 Description: The flowers are tubular, 1 inch (2.5 cm) long, and have 5 short lobes. 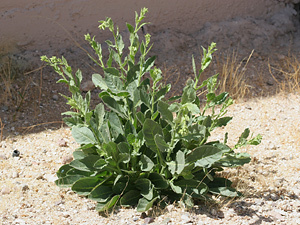 The lower leaves are large, oval to egg-shaped, and short-petioled, while the upper leaves are smaller, narrower, and clasp the stems. The stems and leaves are green, hairy, and sticky. Poisonous – All parts of the plants are highly poisonous and contain the toxic pyridine alkaloids nicotine and anabasine.